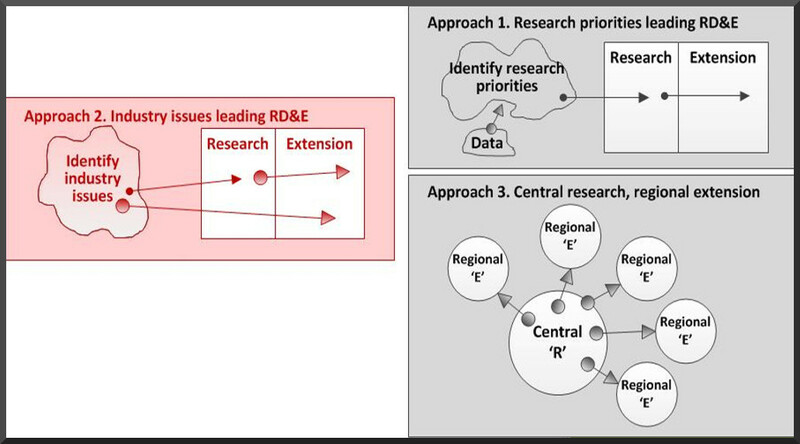 The need: The ‘D-led’ project articulated a new change management model to increase the efficiency and effectiveness of RD&E in the primary industries. What we did: The Harris Park Group and Dr Ruth Nettle, an extension specialist with The University of Melbourne, articulated a new RD&E model based on 15 years of experience in national change management programs. The ‘D-led’ model puts program development front and centre in the RD&E for any domain. This places emphasis on the fit of the new technology with players, the existing systems, the ‘route to change’ and its enabling environment.